Bills are an unavoidable part of running a business, much like salaries and tax. However, if you’re keen on ensuring your company’s bottom line is impacted as little as possible by how much you spend on fundamental utilities like energy, gas and water, then you’ll want to learn how our small suggestions can help you to reduce how much you spend on your bills each month. Simply put, smart plugs cut down on unnecessary power consumption. Plugging devices into a smart plug enables the plug to turn the power off to the device when it’s not being used. This reduces wastage and saves you money in the process and also helps to reduce the impact on the environment in the process. Another way to improve your business’ efficiency when it comes to power consumption is to install timers and power fobs to low traffic rooms, such as bathrooms, utility rooms, storerooms, meeting rooms and board rooms. The aim of these devices is to cut off non-essential power such as lighting when the room is not in use – in case people regularly leave lights turned on. Timers are best suited to bathrooms, utility rooms and storerooms as they will cut off power after a set amount of time. But for meeting and board rooms which are low traffic but can be occupied for extended periods of time, a power fob makes more sense. That way, team members can fob in and out before and after meetings, so their non-essential power can be turned off when out of action. We’ve said it before, and we’ll say it again: using the most efficient lighting in your office can dramatically cut your costs. While it’s great that halogen bulbs have been replaced by LED light bulbs, fluorescent tubes still dominate offices, despite LED tubes being a more efficient option. This comes from the fact that although the most common fluorescent light tubes – T8-tube types – use slightly more energy than an LED tube, fluorescent lights waste their energy through their ballast. This can be as much as the tube uses itself, which therefore doubles the total consumption. LED tubes don’t have this kind of wastage, which added to them needing to be replaced less often, translates to saving on your bill in the long term. You’ve probably wondered how you can reduce your water bill too, and if you have a kitchen that frequently has dishes that need to be washed, a dishwasher could be the answer. According to research, dishwashers use a reported 50 per cent less water and 28 per cent less energy than washing by hand. The reason for this is that the appliance uses a set amount of water per wash, typically three to four gallons; whereas, washing by hand and using a running tap uses as much as 1.5 gallons per minute. This translates to an overall higher water consumption unless you’re very careful. An investment that will pay dividends for your energy bills in the longer term is installing solar power, such as photovoltaic cells, where possible. Solar cells take some of your business’ power supply load off the grid, reducing how much you pay your supplier for electricity. Solar power typically has an ROI of about five years, after which time it will pay for itself and you’ll see the savings. However, making this investment reduces the strain on environmentally harmful power stations so it’s worth considering for more reasons than simply saving money. Once your business is as efficient as it can be, it may be time to consider that you might be signed on to the wrong tariff. 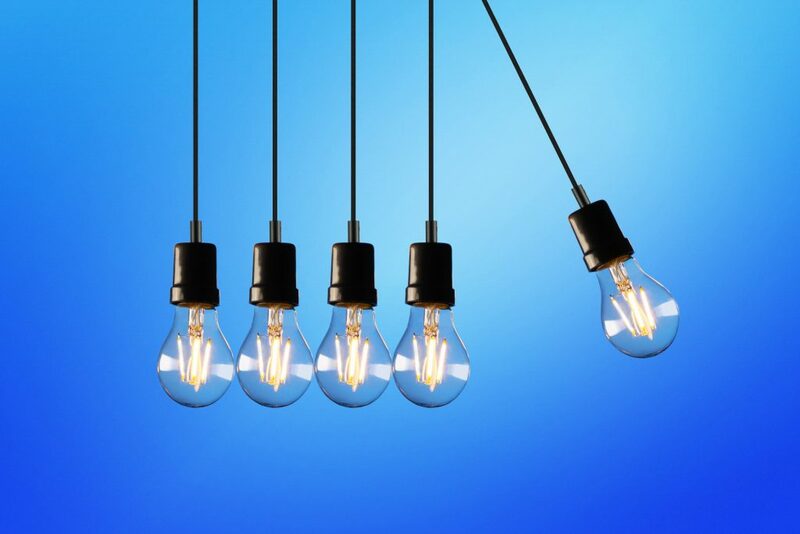 Research by industry regulator Ofgem revealed that microbusinesses – businesses with less than 10 employees – could be paying between 24 – 27 per cent too much for their energy, which highlights how important it is that you’re on the right tariff for your business. The reality is that switching to a supplier that’s right for your business can translate into significant savings on your overheads. Most businesses know this but don’t want to deal with the hassle of researching and switching supplier, especially in an energy market with 73 active licenced suppliers (as of June 2018). Fortunately, an energy broker can take away that hassle for you, and provide expert advice on which tariff is best suited to your needs, ensuring you only pay what you need to. That’s where Exchange Utility comes in. As an award-winning business energy comparison service, our team of specialist will do the research and find the best tariff for your needs, so you can go back to worrying about your business, not your bills. Following these simple steps will ensure your business is a lean, green energy efficient machine and improve your bottom line in the process. For a quote of how much you can save by switching gas and electric supplier, contact Exchange Utility today on 0800 464 0992, toll-free, or fill in the form on this page.